Another Free Comic Book Day is coming and it promises to be a doozy. I for one am just scheduling a full on, all out geek day and am going to Guardians of the Galaxy and also going to a few local comic shops to enjoy the comics and events. This Free Comic Book Day features some seriously awesome books. There are a few ones that I absolutely will be making a v line for. - Valiant will have a special book that will highlighting the EXCELENT! 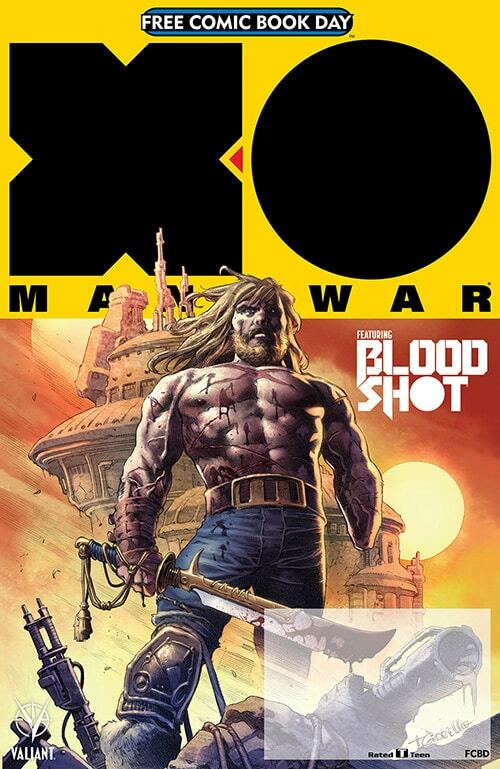 X-O Manowar relaunch and hint at some future things. This is a must grab especially if you don't know much about Valiant this is a cheap way to test the waters. This is the number one book I want. The book also features a story with Bloodshot. Nuff said get this thing. 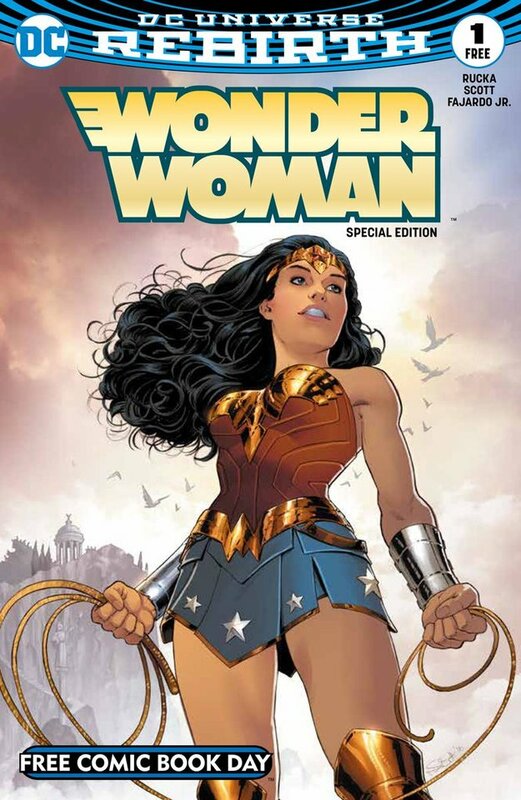 Wonder Woman - This book is meant to get readers excited about both the comics of Wonder Woman and the upcoming film. I'm pumped for this and I think it will be really. This comic will focus on the summer before the show starts. Really excited for this I have enjoyed the other Riverdale comics I have picked up so far. Learn the secrets and hidden tales from the summer before the eternal love-triangle begins in this special issue. Featuring two short stories focusing on the major players and events in the Riverdale series: Spend some time at Archie’s summer construction job and learn how it leads him to a fateful encounter with the alluring music teacher, Ms. Grundy. Find out more about Veronica’s mysterious life in New York, before the shocking event that would send her family scrambling. You dare not miss this special FCBD version of the commemorative one-shot issue that serves as a prelude to the CW Riverdale TV series! 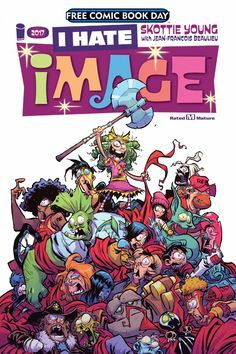 I Hate Image - This book looks awesome don't sleep on this. This book stars the main character from the I Hate Fairy Land story where a girl is trapped in a fairy world and can not age. She old but does not age and can not grow up. She becomes royally pissed. This book will have her escaping and running into many Image characters and killing them. Its kind of a Deadpool kills the Marvel universe book but with a cute girl as the killer. Really sounds like its full of dark humur and should be a lot of fun. The book also features the wonky artwork of Scottie Young who is one of my favorites. Guardians of the Galaxy - This looks like a really fun series that is meant to be based off the team in the film. This is the common sense, cool book I have been wanting Marvel to make very excited this. Hey Fandom! Free Comic Book Day is coming May 6th, and here I talk about the biggest books you can get free at your local comic shop, as well as a few exclusive products on sale that day like the Gold Iron Fist Funko Pop. I also talk about the specific prizes, sales, contests, and party going on at A Comic Shop on FCBD from 9 am until 2 am! I hope to see everyone there, we ordered more free comics then ever before. Secret Wars Hub - The Battle unfolds here! What is the Image series Wytches about? Is Dark Universe being set up to fail? Saga #43 out now and only 25 cents! Who is Liv ( Olivia Moore) in iZombie? Who is Gwen Dylan from iZombie? Who is Drax the Destroyer?